A three year Informal Economy Support Programme (IESP) pilot phase has been successfully completed and a strong platform layed for the next phase. To date: 202 new jobs were created with 430 more in the pipeline; 52 enterprises were supported; 291 enterprises were identified and assessed; 180 were people trained; toolkits and delivery capacity were established. 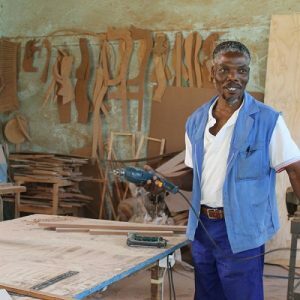 The Informal Economy Support Programme (IESP), the first of its kind in South Africa, is a specialised business support initiative. It reaches micro and informal enterprises (MIEs) in innovative, and cost-efficient ways and unlocks untapped enterprise growth and job creation. Click here for the IESP brochure. Click here for the July newsletter which includes enterprise profiles.